What better day to start a new chapter of your life than the first day of a new year? 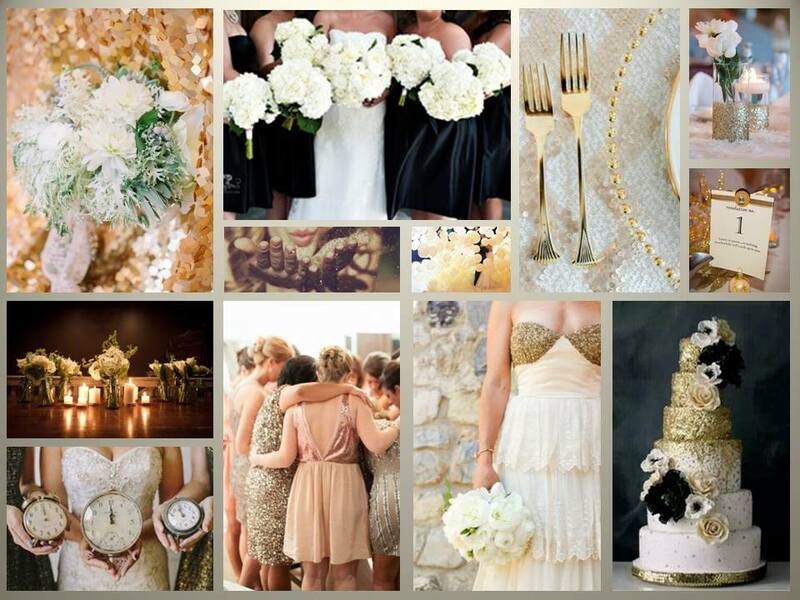 We love the glam of New Years Eve, so why not add the glitz to your wedding night? Also, how cute are clocks for the details with resolution table numbers? 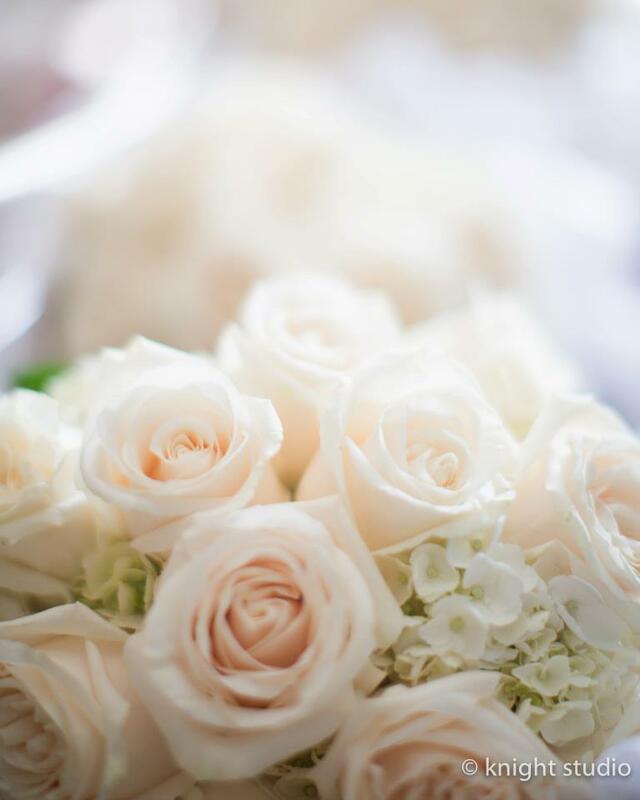 A lovely mix of White Hydrangea’s and Ivory Roses and Garden Roses completed this simple and stunning look. 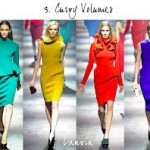 This week I found amazing colors and exciting combinations…LOVE! 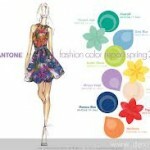 What does YOUR color choice for any occasion say about you? No order is too last minute! Also the national flower, the Rose is signified as the New York State flower. Here are some interesting facts about roses you may not know when enjoying them during the holidays! The Rose, in all its variety and color, was made the New York State flower in 1955. Roses have been appreciated throughout the centuries and are considered one of the most popular and widely cultivated flowers in the world today. There are over 150 species and more than 20,000 hybrids of Roses available. Rose flower plants grow to a height of 2-10 feet. Even in the wild, Roses are an enormously varied group of plants, ranging from prostrate shrubs to enormous climbers. They are characterized by their spiny thorns. Rose leaves are deciduous, compound, with alternate arrangement. Rose flower plants have 3 or 5, occasionally 7 leaflets. The Rose leaf shape is Ovate, with serrate leaf margins. Rose shrubs have pinnate leaves and usually prickly stems. Rose flower fragrance and petals are enhanced by cultivation and hybridisation. There are different classes of Roses formed, which are: the Banksia, Baurbon, Boursalt, China, Noisette, Hybrid Perpetual, etc., with multitudes of varieties. Rose tree bark is green, covered with spines, and turns light brown to reddish brown with age. Roses should be fertilized monthly from March until September. Roses should be kept away from Aphids and thrips. Pruning is of utmost importance for Roses. A bride’s bouquet is every bit as special to the wedding as her dress. It’s something she holds down the aisle with her father, it’s something that can match her personality, and it’s something the color scheme of the entire wedding can be based around if the bride loves her bouquet that much. Then, midway through the reception, she just throws it backwards for someone else to have. What’s up with that? The ritual is a little impractical, but it’s been a tradition that dates back for as long as people have been getting married. Back in the day, the bride is seen as good luck — a woman lucky enough to marry such a handsome man, or even a prince. Every woman wants to get married, and those who aren’t married assume the bride is lucky, so they want a piece of her. But the women at the wedding can’t literally have a piece of her, so the bride throws her bouquet and woman who catches the bouquet has a piece of her and is considered lucky, or next to get married. It’s a fun tradition that takes place at almost every wedding. 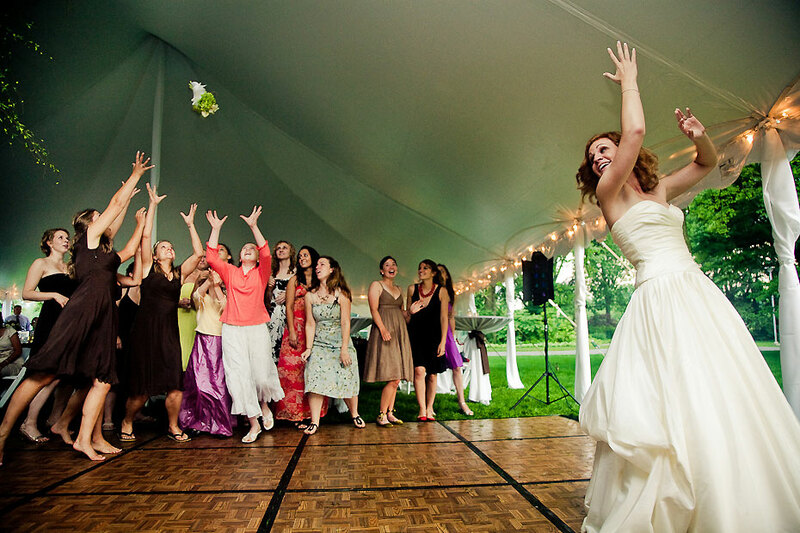 All the single women are behind the bride, reaching for the bouquet the bride blindly throws over her head. What about the bouquet, though? Some people want to cherish their wedding flowers forever and not just give up something as special as their wedding bouquet. If you don’t want to throw your real bouquet, see if your wedding florist will create a replica or some silk flowers to throw. You don’t HAVE to throw your real bouquet, or do the traditional bouquet toss, but having a something other than your real bouquet is perfectly acceptable. Some brides even personally give their bouquet to their single friend as a sign of support, letting them know their time is soon. So whatever happens, whether the bride throws her beautiful bouquet or swings back a fake one, it’s her day, be happy to go up and catch it. Nothing wrong with a little good luck. Setting a beautiful table, whether it’s for a wedding, special event or just for your own home, can look great and be a topic of conversation. It might seem intimidating when you research beautiful floral table designs, but with so many options you can bring the look of any season to your table without difficulty. A floral table runner is a long, decorative piece of woven flowers and fabric that is laid lengthwise or horizontally across the table. The purpose is to create a visually appealing design that will tempt any diner to sit and stay a while! Pick a theme or color scheme because you are creating a floral table runner, you will want to design something that captures the season in which the table is being set. 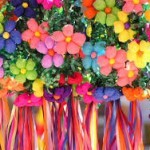 For instance, if it is a summertime event, choose flowers and colors that are fresh and blooming. Roses of all colors can be blended or woven to create a billowing, overflowing runner that dips down over the sides of the table. Another summer option is snipping bright flowers off their stems and laying them across the table or scattering them on decorative paper or linen. Using checkered or gingham patterns on fabric can really bring out the feeling of summer and can be a neat contrast to the floral arrangement. Some table runners may not even touch the table, but are instead created out of long boxes or repeating vases filled with wheat grass, stones or sand. To make these, cut flowers slightly above the grass line and mix them into the grass sporadically to create a visually and aromatically appealing floral box. A well scented floral runner can also be created during winter months and can be themed for the holidays or for an event such as a wedding or ball. This can be achieved by blending sprays of pine branches and pinecones which are odiferous and bountiful. Mixing in red ribbons or holly berries can really make the runner pop. 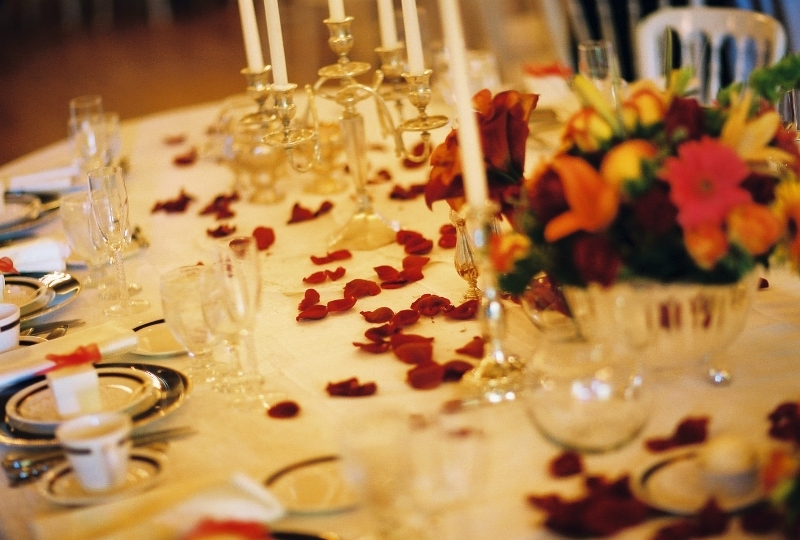 For a more layered look, lay down a white or green tablecloth to ensure the enhancement of the floral runner. Center the table runner down the length of the table. For a more modern look, lay two table runners next to each other and mix in taller centerpieces with matching flowers as the runner. 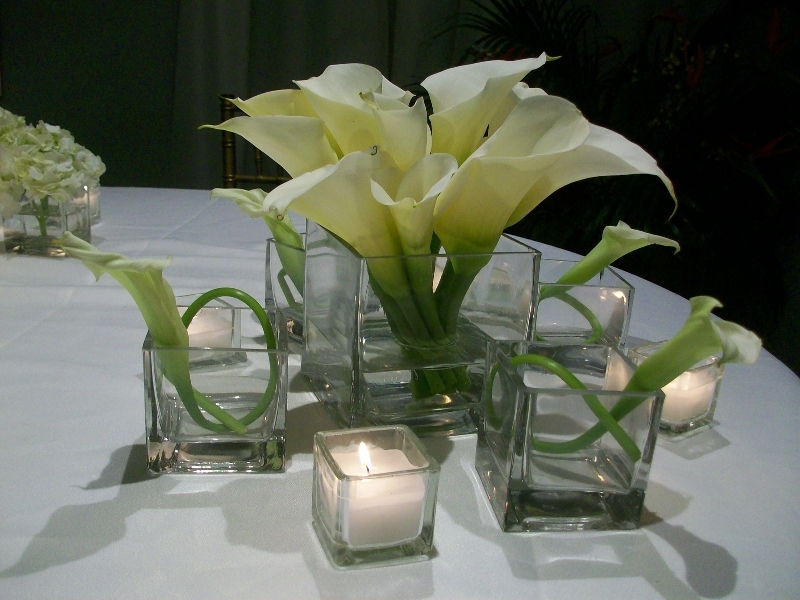 Tall candle arrangements can also bring appeal to the table. Complete the table with placemats or napkins that blend in with the color scheme. The date February 14th is famously known for being the one day throughout the year where love is widely recognized and celebrated. Valentine’s Day is a great opportunity to indulge in romantic activities with your significant other and express the deep emotional connection you share with your “Valentine”. Of course, there are typical activities that take place; going to an extravagant dinner, candles and wine included, going to see a romantic movie, or all of the above! Along with the traditional gift of chocolate candies, there’s one gift that has almost become a necessity on this day; that gift is a beautiful, lush bouquet of red roses. 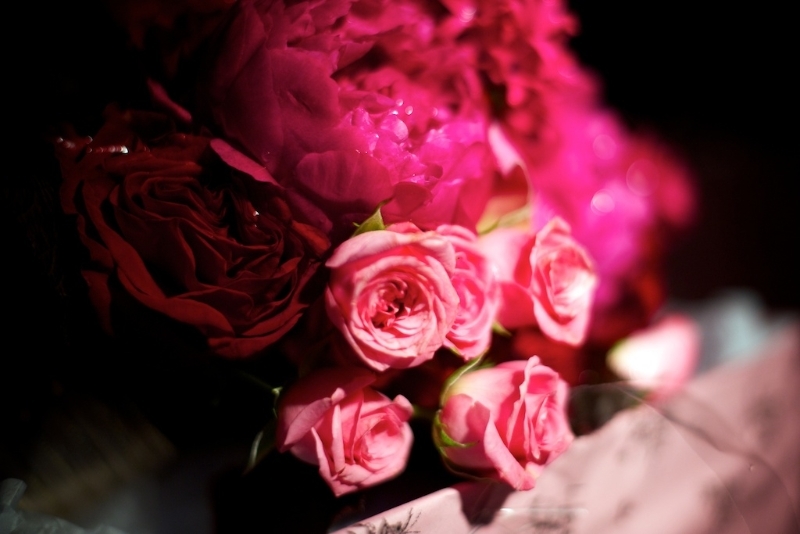 Historically, the giving of flowers has been used to express emotions, which cannot be spoken. 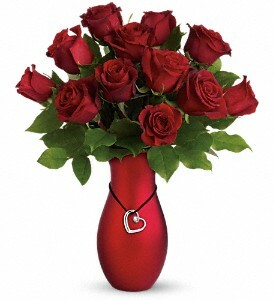 Red roses send a specific and fitting message of deep love and passion. The most popular amount, a dozen red roses, is said to mean “be mine” and “I love you” according to Wikipedia. Some of the most romantic history comes from that of Roman mythology. Roses can be seen throughout, as they were sacred to Venus, the goddess of love and beauty. They are also closely linked with Cupid, as many know, who was the god of desire. With these romanticized myths comes the symbolism seen behind the gift of the rose today. 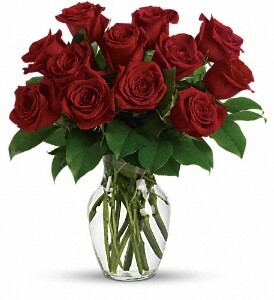 Let your love blossom this holiday and give the beautiful gift of a dozen roses from Plant Place & Flower Basket! With beautiful, accessorized bouquets like the ones above, you’ll be sure to win over the affection of your Valentine and leave a lasting impression against the bouquets of Valentine’s Day past.